Send your Friends Wonderful Christmas Gifts A rocking horse, a fairy doll, luxury shoes and dresses, a private jet, an all-included trip to Tahiti, a castle in Tuscany, a Christmas date with a movie Star, eco-friendly tote bags, chocolate treats... Send and receive wonderful presents, put them by the fir tree, and your gifts will magically unwrap on December 25. As we are respectful to all religions, we have presents to celebrate Hannukah and Eid al-Adha as well. A Wonderful Holiday Season to You All! Our inventory changes often as new inventory arrives. We are not a tile shop in the common sense of the word. 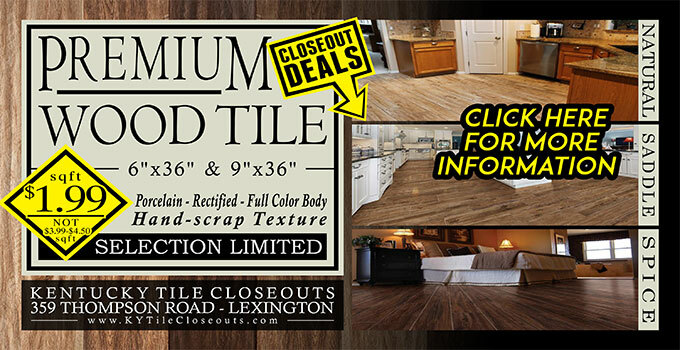 We are a closeout tile warehouse. This is warehouse shopping with no design help, handholding, cup of tea, commissioned sales force, nor assistance in loading. You will receive less help and be left to make your decision in private. Warehouse shopping is not for everyone. Although our inventory of in-stock tile is one of the largest in the state of Kentucky, you still have a greater choice of colors at a regular tile shop (at regular price) – as they can order the full catalog from various manufactures. We are not your full service tile shop. 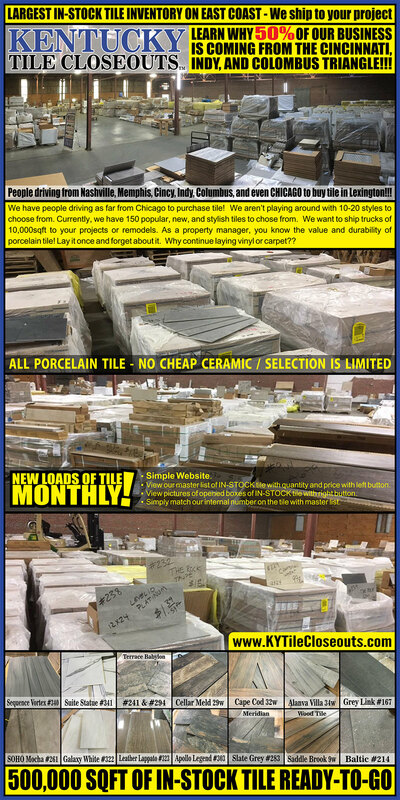 Our tile inventory should satisfy the serious discount shoppers with an amazing choice of colors and sizes.